The FISH is a surfboard out of the water. 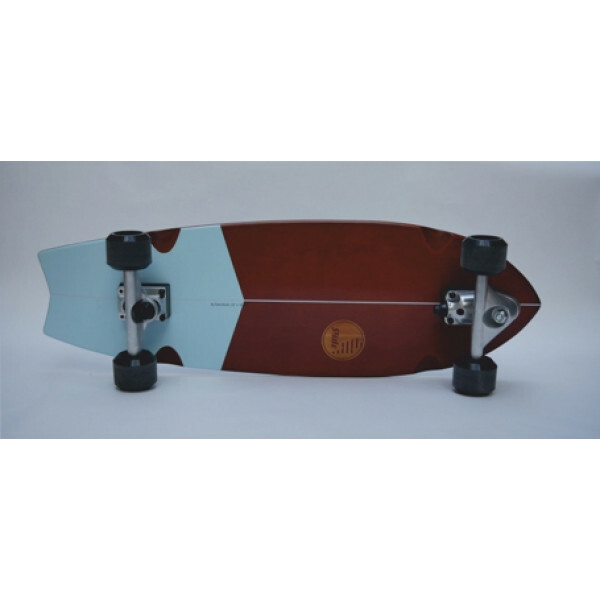 With its wide nose and smooth line, you will have great fun surfing the streets in an easy and comfortable way. 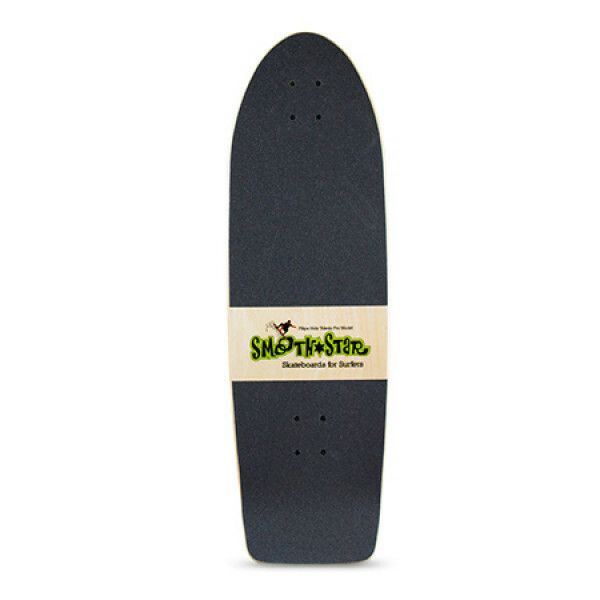 Its smooth kicktail makes you trysharp turns and slides. The Fish is a perfect shape for those surfers used to an extra volume at thenose of their.. 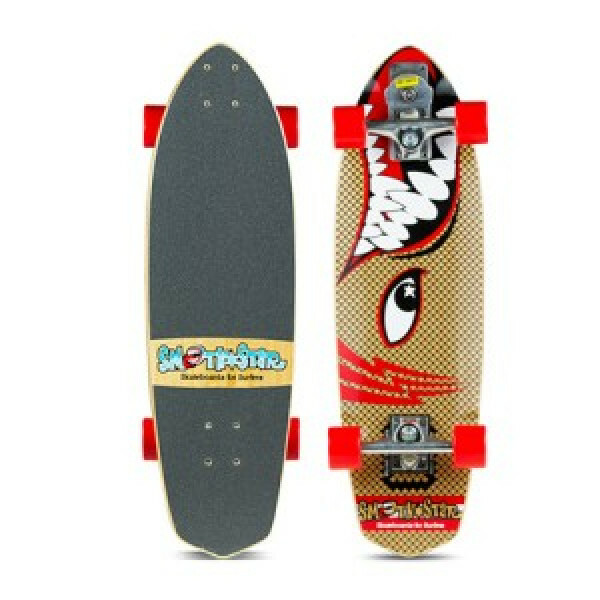 Product DescriptionThe Barracuda surfing skateboard is designed especially for the young surfing groms. A super responsive, tight turning, take anywhere carving mini board. But dont let its size fool you. Its one serious surf training tool designed for the younger kids wanting to hit those waves ear.. Product DescriptionThis is the model groms are frothing over most. The super responsive sharp turning and slightly cheeky Flying Fish model graphics. Perfect for practising those surf manouvers such as bottom turning and cut backs. 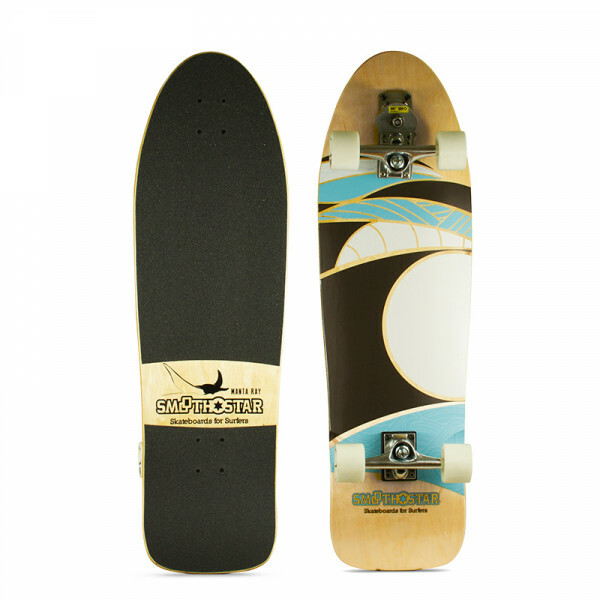 The nice wide slightly concave deck and swallowtail kicker allows yo.. 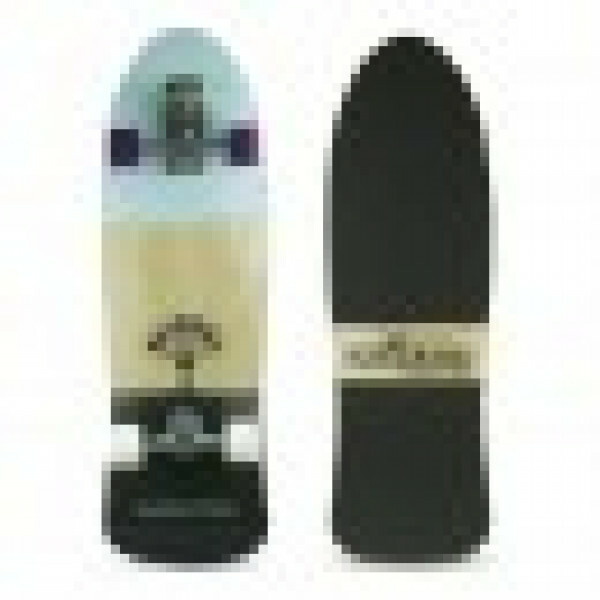 Turning Mechanism: SmoothStar Thruster I (as standard)Deck Length: 32.5″ Aqua & GreyDeck Thickness: 5 x ply Stradified American Bearch + 2 x ply Canadian MapleDeck Width: 28cmWheel Base (measured from centre of trucks): 52cmWheels: Purple SmoothStar Stingr.. This is the model groms are frothing over most. The super responsive sharp turning and slightly cheeky Flying Fish model graphics. Perfect for practising those surf manouvers such as bottom turning and cut backs. 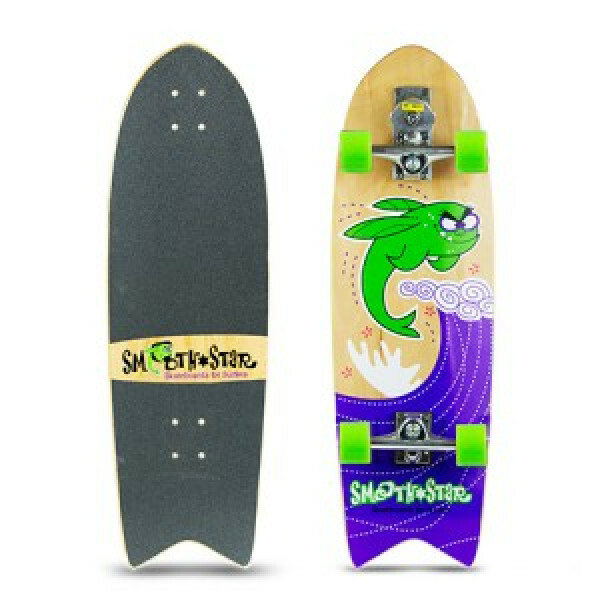 The nice wide slightly concave deck and swallowtail kicker allows you to perform effort..
SmoothStar 33" Toledo 77 Pro Model Surfs.. Introducing the new 35.5" Manta Ray. We designed this model specifically for the 'surf dads' or taller surfers over 6ft. Its comes with new white wheels that are 2mm extra wide because the bigger guys can hold their bottom and top turns without sliding out too much. Our teamrider in the video @..